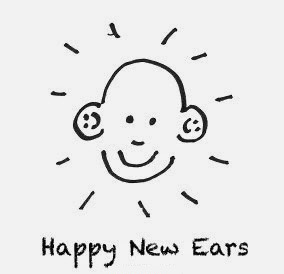 This year's New Ears Awards/Best of 2016 poll is a mix of reader and reviewer input. Following the public nomination process to complete the list of ten top albums of the year, we now present the list for your vote. Voting is from Dec 19 to Dec 23rd. Please vote only once via the form here. Have fun! 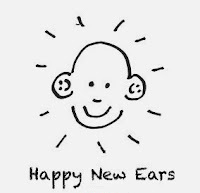 The New Ears Album of the Year will be revealed on December 31st. 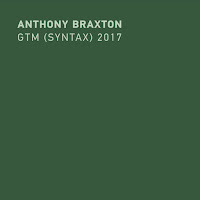 Unbelievable that Anthony Braxton's major work 3 Compositions 2011 was not reviewed nor selected in the best blog on free jazz! What a shame! Hopefully we'll be able to get to that one and several others that made the lists but weren't covered yet, in the coming weeks. It is a shame that 3 Compositions (EEMHM) 2011 isn't here, though it's sort of difficult to judge it against the others. Did anyone pick up the Blu-ray edition of that? It would be interesting to know how it sounds in Surround Sound. I have the blu-ray but no surround-sound. I have however, ripped the two channel hi-res version to disc. You're right, it would be interesting to hear it in multi-channel sound, and I get the impression that it's been primarily mixed with that in mind. In two channels there are parts where the instruments cancel each other out. Whilst I can agree that the Braxton release is worthy of inclusion in any end -of-year list I can see how the limitations and constraints of a volunteer review team quite easily explains it's exclusion. What strikes me however is Braxton's influence on the list as it stands - Laubrock, Halvorson and Sorey are all readily identifiable as having been influenced and/or taught by him. That's testament enough, if any were needed, to the continuing importance of Mr Braxton to creative music. I'd hazard a guess, based on no evidence whatsoever but just a hunch, that AB may be more taken by this fact than by the inclusion of his own work. Sorry, my vote is still for Anthony Braxton, 3 Compositions (EEMHM) 2011. Just 100 years ago - February 26, 1917 - ODJB recorded the first jazz document. How Braxotn said: The “Echo Echo Mirror House” music is a trans-temporal music state that connects past, present and future as one thought component". 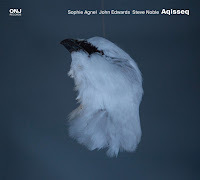 Listening 3 Compositions (EEMHM) 2011 I felt the same strenght of ODJB and a summary of the whole history of jazz. I think it’s correct that Braxton has been a very influential figure amongst musicians, particularly those who’ve worked with him where I imagine his ideas have been understood more easily and with greater force than from his own writings, where he comes across as a rather forbidding figure, prone to extravagant claims (in comparison, Wagner and Stockhausen look positively timid) and is probably only comprehensible to the deeply committed. Looking back, I wonder how I could ever have thought that the iPod music can have been anything other than previous Braxton recordings. Apart from any other reason, the Braxton release is not on the list because the nominations were restricted to albums which have been reviewed on the blog. This seems to have been overlooked by many who nominated. 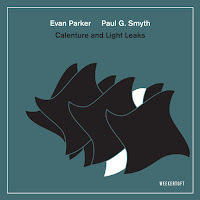 Over 1,500 albums of free jazz and improv are released each year (365 days) so it’s inevitable that most won’t be covered by the blog, though I imagine that every musician believes that his or her album should make the cut. And it’s not as if the reviewer’s listen to every album and then decide which to review. It’s more random that that, and as has been pointed out, we volunteer our reviews – a reflection of individual tastes – none are assigned. Therefore, it’s quite possible that some first-rate music, even potential albums of the year, don’t get reviewed. If anyone out there would like to remedy these omissions, we’d be glad to hear from them. split the vote of his fans. Just a nitpick, but your claim that only albums that were reviewed on this blog are on the nomination list is not fully correct. 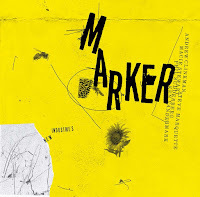 The Ingrid Laubrock - Serpentines (Intakt) album has not been reviewed (yet). Ok , there is a decent reason, that album has been released nov 18, 2016, according to the Intact web site. Something interesting with the nomination list: the near absence of guitar centred albums (Mary Halvorson is the only one). I find it interesting as there have been lots and lots of reviews of albums where the guitar is front and center this year, much more than previous years. Keep up the good work! 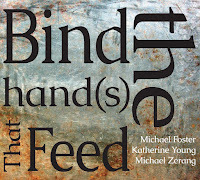 I picked quite a few very interesting albums through free jazz blog. Thank you for that. Hi Richard, good point. I thought about choosing one or the other but decided to keep both to include Iyer. We'll see what happens I guess. Great list. Do you think you could link each candidate to your review? It may be my failing but using the site's search facility to search by artist, title or label and I can't find a review of Laubrock's Serpentines yet it's made it onto the list. Can anyone point me in the right direction please? Serpentines is posting later this week.